An amazing info-graphic that really looks sharp. 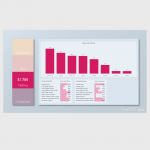 Download now to give your reports some added pop. This is the first layout that has an info-graphic style. 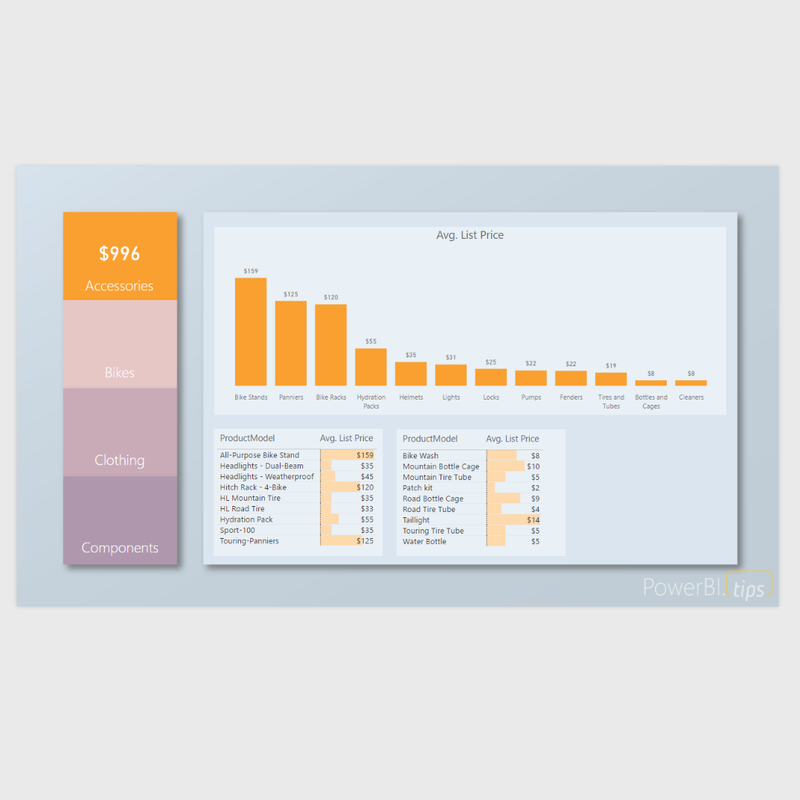 Use this layout when you really want to make your data pop. Includes, bookmarks and custom navigation methods to make a pretty slick user experience when viewing the report. Here are the preview images of this layout. This is Extraordinary! I have two questions/requests here. 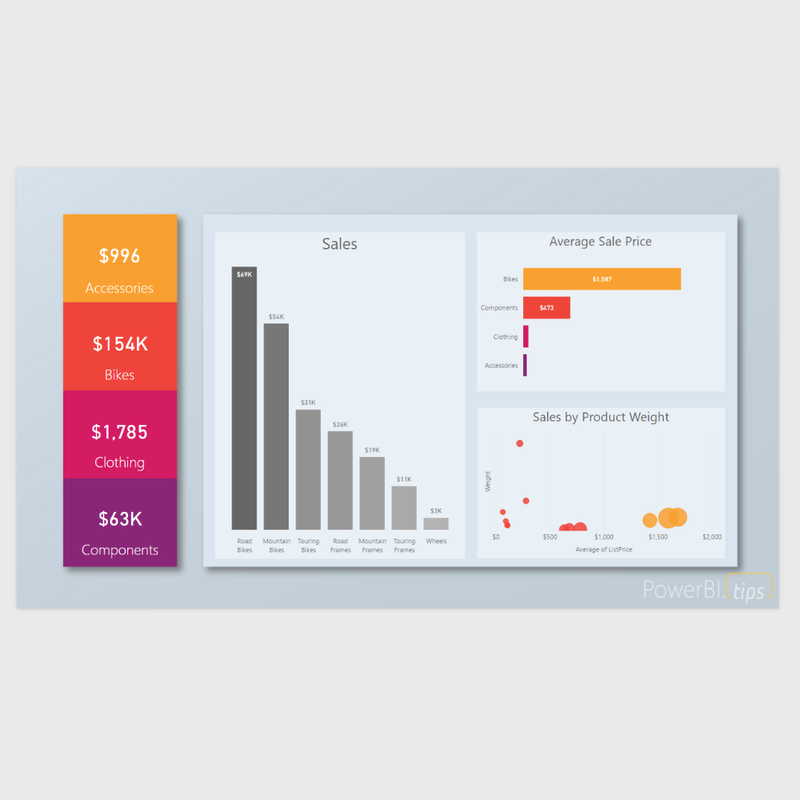 1) Can i get any inputs on how to create this info graphic style templates? 2) Normally we use spotlight for a single tile right, how could you implement Multiple spotlight at a same time when user selects a tile from left side? Is there any updates needed for this one? 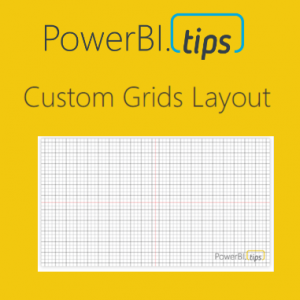 These layouts will be soon a “must have” for everyone working with Power Bi.. thank you very much for your work! Hi, Arunraj. Thank for the great layout. I love it. I have one question about ‘Overview’ bookmark. How does it work? What is it associated with? The overview bookmark simply brings you back to the main page. 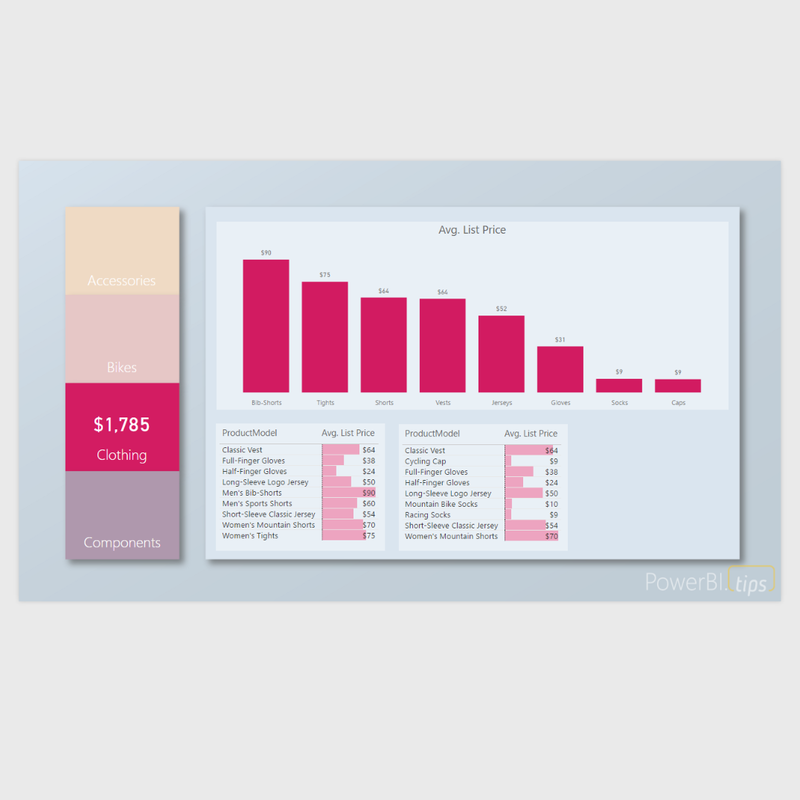 Hi Mike, I have watched a handful of the PowerBI tips videos and the latest Power Tricks, Tips and Tools video. 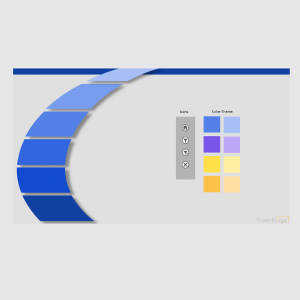 I am working off of a report that has already been built and customized to our company. 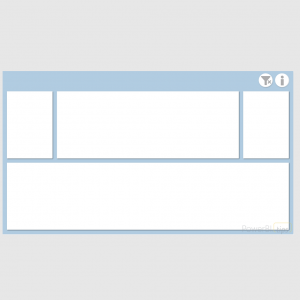 However, I cannot figure out how you have a drop shadow behind your visuals in this template. Aside from rigging it with a shape, is there a feature within the formatting that I am not aware of? The drop shadows are all created with shapes. 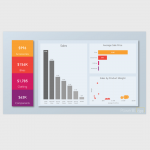 There is nothing within PowerBI that allows drop shadows. Thank you for this awesome work. I have a little problem, all my filters are reinitialized when I change pages. you will need to adjust the bookmark properties. In order to disable the filters changing when you open and close the filter window, you’ll need to click on the ellipsis button of the bookmark, then make sure the Data selection is un-checked. This should disable the bookmarks to adjust the filter context. It looks great but is there a way to click on each color on the left hand side without having to hold down control? 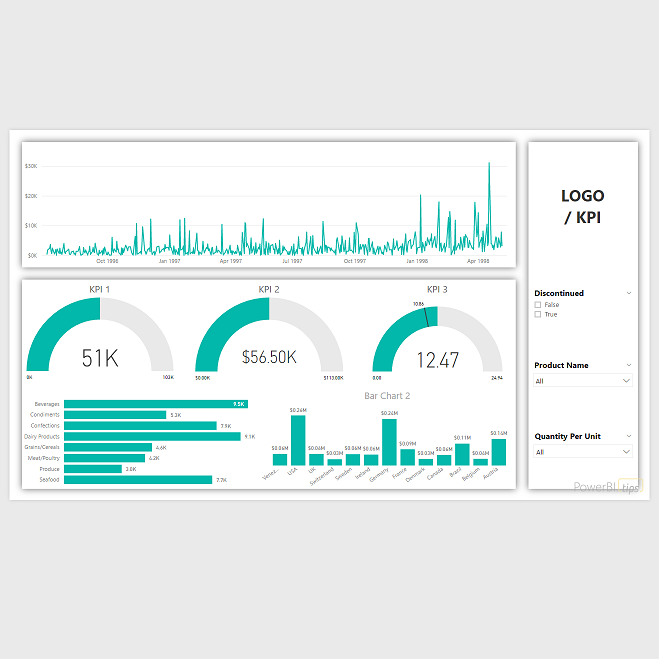 when you publish the report into the powerbi.com service there is no need to hold control. Holding the control button is purely a function of the desktop program and used only during development. sadly, those are apart of the background image and do not have the ability to change. We are working on ideas to remedy this issue in future versions of Layouts.